Prospective accounting students in Idaho face a modest range of choices, with just over 15 colleges and universities offering accounting programs ranging from certificates to Master’s degrees. Idaho accounting schools do not shine out in national rankings; however, the University of Idaho stands out from the rest, having been ranked 161st nationwide by U.S. News. Moreover, the Brigham Young University – Idaho secured the 12th place in Businessweek’s ranking of business undergraduate programs in 2013. Both universities also made the Forbes Top 500 Colleges List, together with the College of Idaho. While only two institutions in the state offer advanced degrees in accounting, Idaho offers some quality schools with varying tuition fees, degree programs and flexibility. At the start of an accounting career, it is your university degree that recommends you to potential employers. You will enter the job market with skills and experience gained during your studies, while your ability to face challenges such as the CPA exam may also depend on the quality of your education. This is why you should inform yourself thoroughly before enrolling in any program to make sure that you are making the best choice. The ideal accounting program should be AACBS-accredited, ranked highly among national universities and should offer a rigorous curriculum taught by excellent instructors. Ask to see previous students’ evaluations, as well as CPA exam pass rates in order to gauge the effectiveness of the program. You should also make sure that your career will start before you leave university. Through internships, field trips, volunteering programs and active student organizations, your school should connect you to your local business community from day one. Try to find out which employers target graduates of the program you are considering and take a look at recent graduate placement rates: your accounting degree should be the key to a successful career. If you have an analytical mind and a passion for business, you might find a career in accounting exciting and rewarding. Given the complexity of today’s business environments, the need for qualified accountants to navigate financial statements and regulations is at its peak. To access entry-level accounting positions, you need a four-year degree with an accounting concentration. However, if your ambitions are higher and you wish to obtain a certification such as a Certified Public Accountant (CPA) license, you will need to complete 150 semester hours, usually taken over five years. 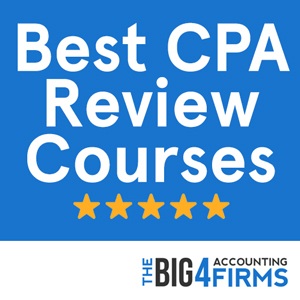 You will also have to pass all four sections of the notoriously difficult CPA examination, as well as pass an ethics examination and acquire at least one year of accounting experience before you can work as a CPA. While this may seem like a difficult career path, it is important to remember that as a CPA your opportunities for increased pay and advancement will broaden significantly. Becoming a CPA is a feat that not many accomplish – and this will put you in very good company if you succeed. Candidates with a baccalaureate degree or equivalent with a concentration in accounting may sit for the CPA exam in Idaho. However, in order to apply for a CPA license, you have to complete 150 semester hours of college education. This should include a degree in accounting from an accredited school or a degree in business with an additional 24 semester hours in undergraduate accounting or 15 hours in graduate accounting courses. Alternatively, candidates can qualify for licensure by completing a baccalaureate degree with an additional 24 semester hours in accounting courses and 24 hours in business courses. 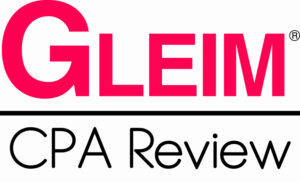 Once you have met the educational requirement and have passed all four sections of the CPA exam, you will also have to pass the AICPA ethics examination and to complete one year of accounting experience before you can be granted a CPA license. In 2013, Idaho reported a mean annual salary for accountants and auditors of $63,570, just below the national average for this profession. The state also falls below average in terms of accounting employment level and location quotient. However, motivated accounting graduates can secure brighter futures by seizing the right opportunity, as pay can increase significantly with location and experience. For example, accountants in the Boise area earn $65,980 on average, higher than the national average. Moreover, the highest paid 10% of accountants in Idaho earn an average of $92,180. Such variations are typical of the accounting profession with its wide range of career paths and certifications. 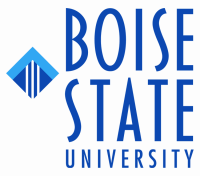 Ranked 65th among Regional Western Universities by U.S. News, Boise State University offers a comprehensive AACSB-accredited accounting program including a BBA in Accountancy and a Master of Science in Accountancy with the possibility of a specialization in Taxation. Rooted in the dynamic Boise business community, the university prides itself on internship opportunities and extra-curricular activities provided by organizations such as Beta Alpha Psi. Students pursuing the Boise BBA degree will gain a broad foundation in business, accounting, finance and general education, with the option to sign up for the “Finish in Four” program to help them stay on track. Moreover, students wishing to become CPAs can enroll in the flexible MS in Accountancy program that covers financial reporting, tax law, information systems, auditing and accounting. First-rate teaching quality is ensured by instructors with accounting experience, while the hands-on learning programs put Boise students at an advantage in the job market. The AACSB-accredited University of Idaho offers a prestigious accounting program designed to equip students with the skills and knowledge necessary for CPA certification and a successful accounting career. The Bachelor of Science in Accounting offers a thorough curriculum covering accounting, taxation, auditing, fraud examination, business law and communication, as well as opportunities for hands-on learning through different entrepreneurship, business and international programs. Students can also get involved in student organizations such as Beta Alpha Psi and can undertake internships with major corporate firms. Moreover, the Master of Accountancy at the University of Idaho allows students to prepare for the CPA examination while getting a head-start in their careers. The graduate program provides students with advanced knowledge in accounting, auditing, management, information systems and taxation and supplements classroom teaching with experiential learning. It is thus no surprise that the Master of Accountancy program boasts a graduate placement rate of 95%, with employers including the Big Four and other major companies.